How do you write a review for a book when you’re not 100% sure of what you read? Especially when said book is a dark romantic suspense novel that requires you not disclose most of the details so as not to ruin the book for other readers. If you’re me, you start by Googling synonyms for a term you cannot use on retailer sites because it contains the f-word. So in an effort to “mind” my Ps & Qs, and Fs, I’ve decided upon the term cranial fornication (we’ll wait to see if it passes muster), but I think most readers of dark books and Lane fans will get the just of what I’m trying to say. Lane states that Lies & Lullabies is not as dark as her previous works, and while I cannot attest to that as I’ve only read one of her books (shame on me, because I loved The Sordid Promise), I will agree that while it might not be the darkest novel I’ve ever read, it is one of the most twisted storylines I’ve read as of late because the author does not shy away from the cranial fornication. Oh yes, time and time again, just as I thought I knew what was going on, I’d turn the page only to discover that the die had been recast and I was back at square one. I found this frustrating, not because I’m one of those readers who tries to figure it out before the ending, but because I was connecting with Simone and feeling her frustration, her helplessness, her hopelessness. There were times when I felt as though I was missing pages; obviously this doesn’t happen with ebooks, but you know what I mean. Then it dawned on me that Simone was being drugged more often than she realized; so I was indeed missing information, the same information she was. 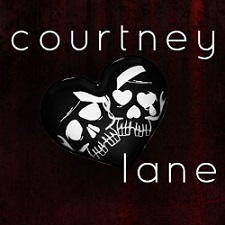 This is the beauty of Lane’s cranial fornication, I was so connected to Simone’s character that I, too, was blind to the same clues she was. As for the few things that I did realize before Simone did, it was only because it wasn’t the secrets in my world that were being revealed, so I didn’t have to come to terms with the man behind the curtain. Yet I still felt for Simone as piece by piece, the foundation of her world was chipped away. At the same time, it was exhilarating to witness Simone’s transformation as she fell in love with Catch, just as it was fascinating to uncover Catch’s secrets. 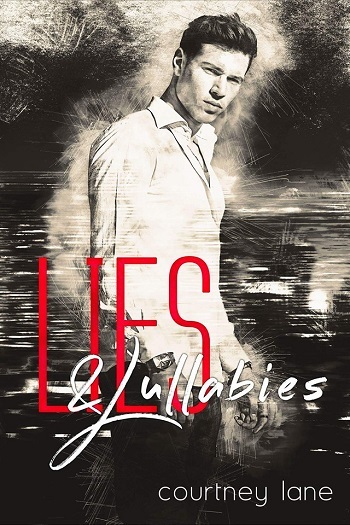 As for Catch’s secrets, at least the ones he let us in on, you’ll have to grab your own copy of Lies & Lullabies to learn them because I won’t tell – I know better than to play chicken with a sociopath. 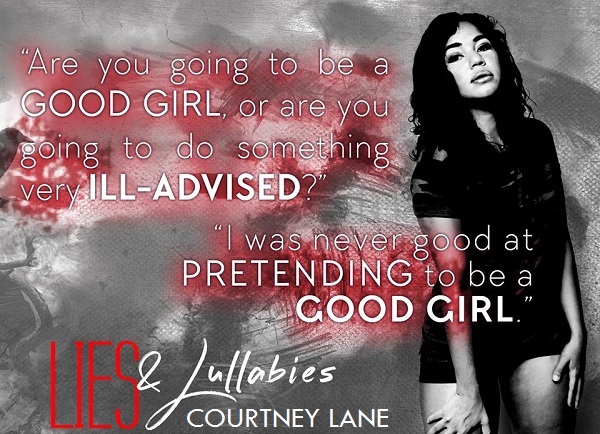 Reviewers on the Wicked Reads Review Team were provided a free copy of Lies & Lullabies by Courtney Lane to read and review.